Diamond Freight believed its existing vehicle tracking system could be improved upon, since implementing FleetTracker, the haulage business has seen a reduction in insurance premiums along with improvements in productivity, time and attendance reporting, customer service and issue resolution. 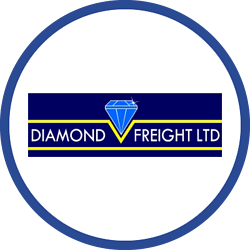 Diamond Freight Ltd is a leading UK Haulage and Warehousing company with over 30 years of experience in the industry and a network of locations throughout the UK. Diamond Freight operates its own fleet of vehicles in order to deliver haulage services throughout the UK. Andy Fowell, Diamond Freight’s Logistics Manager, required a vehicle tracking solution to address a number of challenges. He wanted to streamline communication processes between the drivers and management, to cut down on phone calls, and receive location updates more promptly. This would improve Diamond Freight’s customer service processes and enable it to more efficiently respond to customer enquiries. Diamond Freight already had a vehicle tracking solution in place but it was proving inadequate. The existing system had reliability issues and poor customer service. Diamond Freight decided this needed addressing and began to search the market for a more reliable and effective solution. After making the decision to discontinue with its existing tracking supplier, Diamond Freight implemented Crystal Ball’s FleetTracker solution in October 2015, an established and fully comprehensive fleet tracking system. “We were so impressed with the Crystal Ball solution that we cancelled all the meetings we had lined up with other suppliers and decided to install FleetTracker across our entire fleet,” says Andy Fowell. FleetTracker provides Diamond Freight with all the essential functionality they required. Displayed on a large screen and each individual desktop within the control room, FleetTracker provides management with live locations of their vehicles on a detailed mapping system ensuring full visibility of their workforce. Crystal Ball’s extensive reporting suite enables company administrators to access reports as and when required. This includes a key reporting tool: the timesheet reports, which are scheduled and delivered by email to the relevant managers. This is useful for ensuring drivers are working the hours they report. FleetTracker has directly addressed the challenges Andy and his team had previously been facing. Customer satisfaction is of paramount importance to Diamond Freight. Now, thanks to the regular location updates provided by the Crystal Ball system, it is able to provide customers with a smooth and faultless service; offering location data and arrival estimates as and when a customer requires. Andy Fowell is thrilled to have received a reduction in insurance premiums since installing Crystal Ball’s FleetTracker on his fleet of vehicles. "We were so impressed with the Crystal Ball solution that we cancelled all the meetings we had lined up with other suppliers and decided to install FleetTracker across our entire fleet."